This "Home Type Tuesday" is a very subtle one but sometimes those make the biggest impact! The Nite Nite monogrammed shams are just adorable, I love how they peek out from behind the accent pillows. So sweet! Not to mention the other fabulous items in this room. 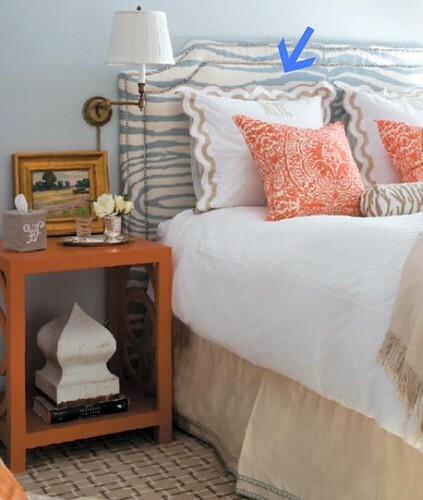 Hello amazing blue zebra headboard and Shine orange sidetable! You are the perfect pair! Love that! This room has great colors. I have an upholstered chair in blue zebra at my vanity that I love!